On the night of July 3, 1969, the Rolling Stones sat in Olympic Studios in London, working out a new track with freshly minted guitarist Mick Taylor. 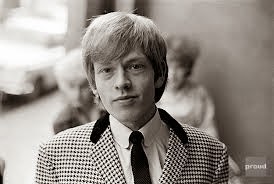 At about 2:00 a.m., the word reached them that founding member and original guitarist Brian Jones had been found dead in the pool at his Sussex home. Jones, who had been fired from the band and replaced by Taylor less than a month earlier, thus became a founding member of The 27 Club. The news literally dropped the Stones to the floor. Charlie Watts wept. Two days later, the Stones would play Hyde Park before a quarter million to memorialize their fallen mate. On that fateful June night, the song the Stones were working up was an overhaul of Stevie Wonder's 1968 non-hit "I Don't Know Why." The song lyrics are rooted in confusion and pain, voiced by Rock's ever-present pleading lover. It must have served as an appropriate tableau for these young artists, their invincibility shattered. The result of their work does "I Don't Know's" R&B origins proud. The underwater vibrato opening sequence segues with immediate power into a Muscle Shoalsesque (the studio had opened earlier that year; the Stones would record there in December), brass and ivory accented theme that dominates the rest of the song. Taylor's presence is immediately felt, with a searing slide overlay that crackles the song's back half. Watts uses his snare like a conductor, setting off each of the song's mini-crescendos. Pain and exhaustion resonate in Jagger's voice as he pleads his way through the lines of a narrator resolved to defeat ("I ain't gonna stop, your cheating ways ..."). The put-on vocal tic in the third line is charming in its quirkiness. "I Don't Know Why" this little three minute heater never turned more ears.